Set of 12 Happy Birthday Themed Spray Centerpieces! Perfect for Birthday Parties! 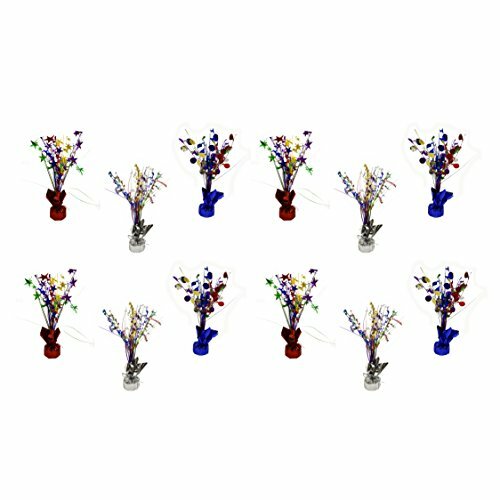 These Centerpieces will be perfect for any party or social gathering! Includes 12 Birthday Themed Balloon Weight Centerpieces! Features 3 Unique Designs! Including Stars, "Happy Birthday", and Balloons! Each Centerpiece is Weighted to be Worry Free on Windy Days! Perfect for any Party or Social Gathering!